It’s been a while since I posted anything. There’s been a lot of changes in my life that has forced me to put popmonkeys off for a while. Well, I’m back. And like my life, this blog is going to change a little bit. It’s now going to be a foodie site. No no…I’m kidding. Not only am I going to talking about hardware, netbooks, computers, digital cameras and more, I’m going to share tips for living/managing your digital life. Yes. You have a digital life if you use the internet. This entry was posted in Uncategorized on March 20, 2010 by Chief Monkey. I considered buying a 12 inch netbook but decided against that. 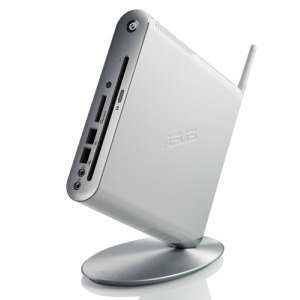 I chose the Asus UL80Vt because it offers performance in a thin and light package. This laptop gave me the best of both worlds. It’s very good on battery life when in the right settings. However, it has the hardware to handle some gaming if I wanted. The switchable graphic option was the main reason why I got this laptop. I don’t need a discrete graphic card all the time. The overclocked CPU is the same. The system will overclock the CPU to 1.73 GHz when you need more power but will operate at 1.3 GHz to extend battery life. Asus does over the same package in a 13.3″ (UL30Vt) and a 15″ model (UL50Vt), but I wanted a DVD drive for movies on the go. This entry was posted in laptops and tagged asus, Intel, nvidia, UL80Vt, Windows 7 on January 20, 2010 by Chief Monkey. There are so many things to consider when choosing a new laptop. I mean, for geeks, buying a new computer is like buying a new car for most folks. What do I want to do with the computer? What kind of features do I want? How fast? Now compare that to a car. Do I want a sedan or a SUV? Sports package, luxury package, technology package, etc.? It’s finally time for the Chief Monkey to buy a new laptop. My 4 year old IBM T43 Thinkpad has served me well and finally gave out the other night. I thought my Eee PC 1000H could support my mobile computing needs, but I find it a little challenging. 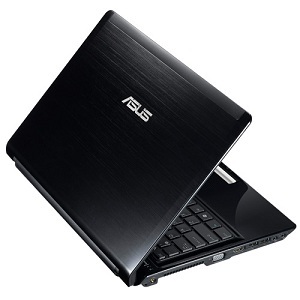 I aos consider getting the bigger Asus Eee PC 1201N netbook, but $500 is a lot to spend on a faster netbook. So, a new laptop is in order. The first thing you want to consider when buying a new laptop is budget. How much do you want to spend? Once you know your budget, you can figure out what kind of computer you can get. The keyword here is compromise. Once you set your budget, think about what you want to use this laptop for? Will you need a fast processor for demanding tasks? Do you need a dedicated graphic solution for games? How about mobility? Will you be traveling much with it? Do you need something that is thin and light for easy packing? Do you need a large battery to stay mobile for longer periods of time? So for me, I want all that. I need something fast with a dedicated graphic solution in a thin and light package. I don’t need the fastest laptop. Just something with enough horsepower to handle anything I will throw at it. No, I’m not going to render a whole 3-D movie on it. Here’s the tricky part. I need something that get’s good battery life too. That’s like getting an extremely fuel efficient car with a lot of horsepower. It’s a difficult balance. With power, you sacrifice battery life and vice versa. Fortunately, many of the laptop components are designed with light power consumption in mind. Every component is to be as efficient as possible. Look at the netbooks. The Intel Atom CPU is so small and so efficient that you can squeeze out at least 6+ hours of battery life depending on how you use the netbook. However, the Intel Atom CPU can’t handle a demanding task. Intel is getting better at designing processing chips that are powerful while efficient at the same time. This entry was posted in laptops on January 5, 2010 by Chief Monkey. Up until now, the Intel Atom processor has ruled the netbook scene. Sure, there are many different variations of the Atom, but the majority of the market share belongs to Intel. 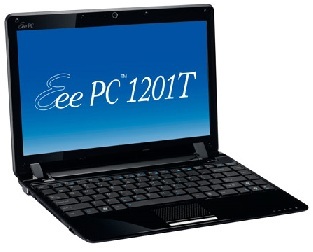 Introducing the Eee PC 1201T. 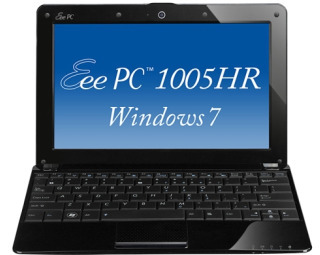 It’s almost the same as the Asus Eee PC 1201N. The major difference is the CPU. The 1201T is powered by an AMD Congo MV40 processor running at 1.6GHz. Sorry ION fans, the 1201T’s graphics are being handled by the ATI Radeon HD3200 chipset. Here’s my biggest takeaway. If I had a choice between the 1201N and the 1201T, I would still pick the 1201N. Why? Dual-core processor. The 1201N is powered by the Atom N330, which is a dual core cpu running at the same 1.6GHz. There’s nothing wrong with a single core Atom. It’s just that I sometimes need a little more power to tackle some tougher jobs. This entry was posted in Netbooks and tagged 1201T, AMD, asus, ATI, eee pc on December 19, 2009 by Chief Monkey. If I was in the market for a new netbook, I think I would pick the Asus Eee PC Seashell 1201N. Yes, it’s a 12 inch model that deviates from the traditional 10 inch of screen real estate. My biggest complaint about my Eee PC 1000H is the screen. Some programs run on a resolution that is higher than the native 1024 by 600 pixels. The screen is not long enough. Now, for $500, I can get a laptop with better a processor, more memory, bigger hard drive, a dvd drive, better graphics, and better screen. So on earth would I get a netbook instead? Answer: Weight and size. 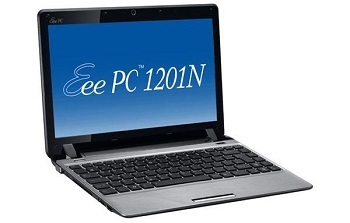 The Eee PC 1201N is only 1.3 inches thick and weigh only 3.2 pounds with about 5 hours of battery life. Sure a laptop has more power, but can it travel as well as the Eee? This entry was posted in Netbooks and tagged 1201N, asus, eee pc, ION, N330, nvidia, Seashell on December 15, 2009 by Chief Monkey. My hard drive was failing. This gave me an excuse to get a new hard drive for a fresh install of Windows 7. This also gave me an excuse to add more memory too. The installation couldn’t have been easier. I replaced my old hard drive, remove 2 wires and 4 screws. I installed the memory. I already had 2 Dimms in the system. Adding 2 more will bring my total to 8GBs. After closing everything up, I booted up the system and inserted the Windows 7 DVD. I chose the 64 bit version because I wanted to take advantage of more memory. It took my system about 30 minutes to complete the installation. It found all the necessary drivers and installed them automatically. That’s kind of nice. So far, my experience with Windows 7 is pleasant. There’s a few new things to learn. The taskbar is a welcomed change. It lets you dock shortcuts to programs you often use. The 64 bit version of the operating system is a bit snappier than the 32 bit version. The one annoying thing is that the Run Command was not enable by default. To enable it, right click on the taskbar, Start Menu Tab, Customize…, and check the Run Command box located about 2/3 down on the list. 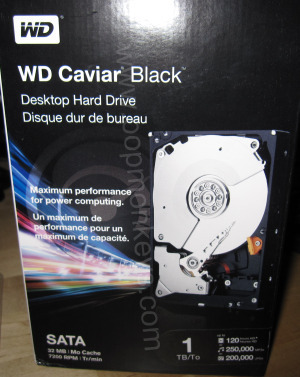 This entry was posted in how to and tagged 1TB, 64 bit, Black, Caviar, run command, upgrade, Western Digital, Windows 7 Ultimate on December 6, 2009 by Chief Monkey. Asus still cares about the early adopters and posted a guide on how to upgrade your “old” Eee PC 1000H or 1000HE to the new Windows 7. Upgrading to the new operating system is not as easy as formatting the hard drive and running the dvd from an external drive. Asus is recommending that you upgrade the BIOS before upgrading to Windows 7. As for me, I won’t be install Windows 7 on my 1000H. Why? Because I’m doing just fine on XP. I’ll leave Windows 7 for my desktop. This entry was posted in Netbooks and tagged 1000H, 1000HE, asus, BIOS, eee, pc, upgrade, Windows 7 on December 1, 2009 by Chief Monkey. Since the launch of Microsoft Windows 7, there has been a steady stream of new netbooks from everyone. The problem is that with every new model, there’s only a couple of minor changes. The new Asus Eee PC 1005HR has the same internals as all the netbooks out there, except the screen. The 1005HR has a 10.1 screen with the resolution of 1366×768. That’s right. This screen is capable of displaying hi-def video at 720P. Other than that, there’s not that much difference from every other netbook out there. 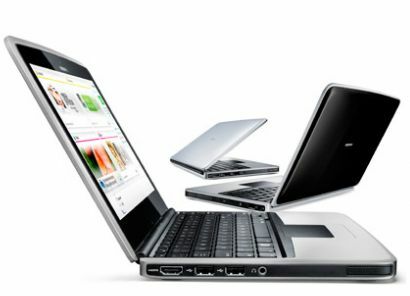 The key to purchasing the right netbook is to know what you’ll be using it for and how much you want to spend. Most people buy netbooks thinking it is a small and cheap laptop computer. Yes it’s very mobile and the price is low compared to a regular laptop, but it also does less. You can’t really play games on netbook or expect high performance from the Intel Atom N280 CPU. 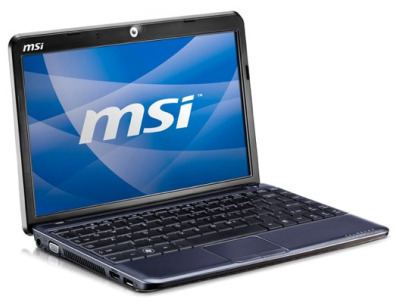 It’s best to evaluate all the different brands of netbooks of out there and determine which will fit your needs. Will I replace my 1000H for a newer model with a better screen? Nope. If anything, I’ll get a new full size laptop instead. This entry was posted in asus, Netbooks and tagged 1005HR, Atom, Intel, Windows 7 on November 22, 2009 by Chief Monkey. First off, I want one of these. I also want to review one, badly. The problem is that I can’t seem to buy one anywhere. The Acer Aspire Revo R3610 is sold out. It’s on back-order at newegg for over a month now. So why am I so excited about this little desktop? It’s a little desktop that packs enough power to do most, if not, all tasks. Disclaimer, I’m not a gamer, but I’m sure the Nvidia ION graphic chip in the Revo can power most games. Don’t expect killer frame rates though. But like all things on the market, the Revo R3610 has competition. The Asus Eee Box EB1501 packs the same internals as the Revo R3610 and a DVD burner in a small little box. At this point, I’ll get which ever one that is available first. This entry was posted in nettop and tagged Acer, Aspire, asus, Atom N330, EB1501, Eee Box, ION, nvidia, R3610, revo on November 11, 2009 by Chief Monkey. If you know a road warrior or are one, you need to consider adding the Belkin Mini Surge Protector to your road gear. Most of my gadgets recharge with a usb plug. I’m always trying to cut down on all the AC adapters I bring with me. 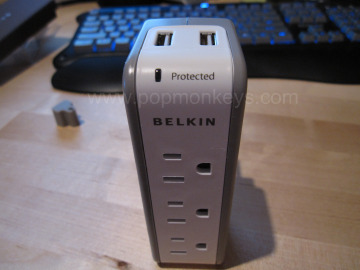 With the Belkin Mini Surge Protector, I can just carry it and a usb cable. Ever waited at an airport while searching for more than one outlet? It seems that I always need to charge my laptop and my phone at the same time. Now I can. Oh, the surge protection is nice too. You can’t be too sure what kind of outlets you’ll encounter in the wild. 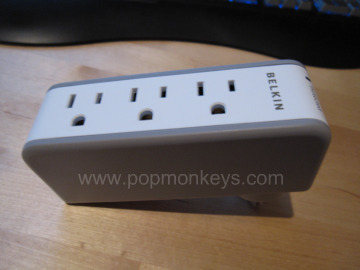 The Belkin Mini Surge Protector also makes a good present too. At around $20, it cost you an arm and a leg to get your geek a present. Amazon.com currently has the Belkin Mini Surge Protector for a little under $20. Click here to go to the product page. 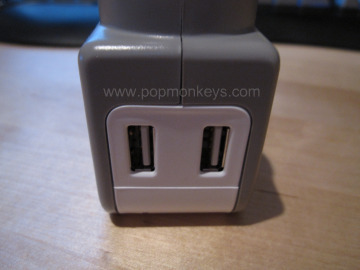 This entry was posted in Review and tagged Belkin, mini, protector, surge, surge protector, usb on October 27, 2009 by Chief Monkey. Finally, a nettop that I might purchase. Acer has refreshed the Aspire Revo with more power while keeping the Nvidia ION graphic chip untouched. The original Revo had mixed reviews. But the consensus was that it lacked performance for the everyday use. The Acer Aspire Revo 3610 gets a power boost with the dual-core Atom N330, replacing the single-core Atom N230. You’re also getting more memory, up to 4GB, and more hard drive space. You’re also getting 6 USB 2.0 ports, HDMI, a memory card slot, and unfortuately, a VGA port. 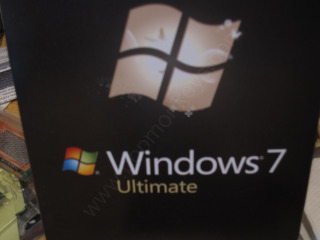 It’s rumored to ship with Windows 7 Home Premium. Expect the price to be $300 – $350. No word on the release date yet. This entry was posted in nettop and tagged 3600, Acer, Aspire, Atom N330, Nvidia ION, revo on October 18, 2009 by Chief Monkey. On a recent trip to Japan, I learned a few things. When traveling to Japan, bring a netbook with an RJ-45 cable. Wifi isn’t as popular. Electronics cost up to 4x more than the US. Well, everything is more expensive. Many people had iPods too. They had the latest and greatest available for purchase. Surprisingly, big screen TVs are not as popular in Japan. With space being so scarce, a huge 40 inch LCD TV would take up too much space. They are really green and care about not producing any unnecessary waste. Obsolete electronics are not replaced as quickly as they are here. Many computers were still using Celeron and Pentium 4 CPUs. They haven’t found a need to move onto the fastest processors. I’ll post pictures a little later. Now to get over this jet lag. This entry was posted in Uncategorized and tagged Japan, travel on October 11, 2009 by Chief Monkey. Well, it seems that I am a little slow in cover the nettops. 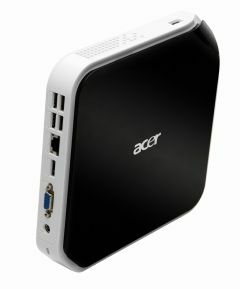 Newegg recently launched the Acer AspireRevo Nettop for $199. For $200, you get a decent little computer with the new Nvidia ION graphic chip. It’s a nice little package for $200. Seriously, $200. Even at that price, the Atom 230 doesn’t even bother me. I might just buy this little thing for my parents to replace an aging Dell desktop. Click here to go to the Newegg Product Page. This entry was posted in Desktop and tagged Acer, aspirerevo, nettop, nvidia, Nvidia ION, revo on September 29, 2009 by Chief Monkey. 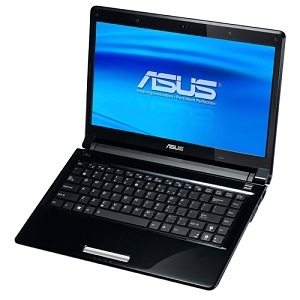 I think if I had to choose a netbook right now, I would pick the Asus Eee PC 1201N. Yes, I’m giving up size and mobility. As far as changes, there are a few noticeable changes. For one thing, it’s bigger. A lot bigger than my Eee PC 1000H. I use a Thinkpad X61 for work and that’s 12 inches. Of course the bigger screen real estate will give you more to look at. The screen resolution balloons to 1366×768 from 1024×600. The Nvidia ION chip powering all the graphic duties. There’s been a lot of hype about ION, but nothing real has come out yet for all to use. I wonder if it’s the real deal. The one chip that can elevate a netbook to something a laptop has to be afraid of. Yes, the Intel Atom cpu is weak. But it’s pretty sufficient for most of the things I want to do. I guess time will tell if it will be a winner. I really hope it will live up to all the hype. According to rumors, the Asus Eee PC 1201N will make its appearance in Q4 of 2009. This entry was posted in Netbooks and tagged 1201N, asus, eee pc on September 22, 2009 by Chief Monkey. Going from point and shoot to DSLR is a big step up. The learning curve is very steep, and you have to make many investments in order to have the full experence. You have to investment a significant amount of money on the equipment and the time to learn everything. If you’re the type that just wants to take a picture, stick with a good point and shoot. They have come a long way and are very advanced in a compact package. Some high end point and shoot camera now offer RAW images. RAW images are just that, raw. Cameras normally compress the pictures and manually adjust the photos before saving to a jpeg. RAW images allow you to adjust the image yourself. 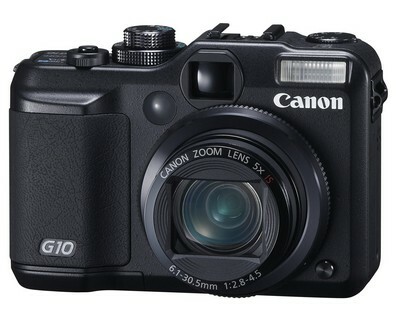 I recommend getting the Canon Powershot G10, not the new G11, or the upcoming Canon Powershot S90. 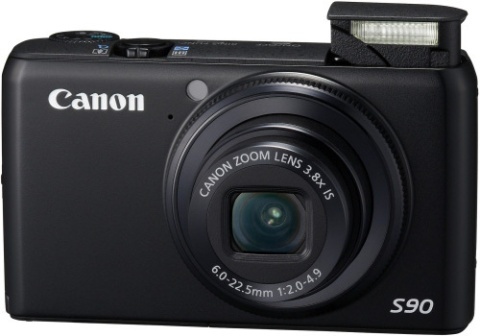 I’m glad to see that Canon brought back the Powershot S series. These are very good cameras with more manual controls than the SD series. For more information about the Canon Powershot S90, dpreview.com has a good initial hands on review. The Canon Powershot S90 is available soon. Expect a price tag above $400. However, not all point and shoots are equal. Sure, there are cameras out there that only cost $100. But the picture quality pays for the low price. If you’re the type of person that likes taking pictures, a DSLR is worth the investment. The picture quality alone is leaps and bounds above a good point and shoot. I am a little bias towards Canon. However, the Nikon D90 is a damn good camera as well. So it’s up to you to determine what type you are. There’s a camera for every type. Just go out and have fun. This entry was posted in Digital Camera and tagged Canon, D90, DSLR, G10, Nikon, Powershot, S90 on September 13, 2009 by Chief Monkey. The netbook segment just got a little more interesting. It looks like the Intel Atom CPU is not the only one on the block. Sure VIA came out with the Nano, but it suffered low adoption from manufacturers. The MSI Wind U210 will be powered by the AMD NEO MV-40, operating at 1.6 GHz. This is a 12 inch model with a screen resolution of 1366 x 768. An AMD Radeon X1250 will be handling graphic duties. The higher end model will, unfortunately, come loaded with Vista. It’s still too early to know if this will qualify for the free Windows 7 upgrade. This might be a good competitor to all the Intel Atom powered netbooks out there. In my opinion, it’s good to have come competition to the Atom because consumers will benefit. AMD is not so restrictive as Intel when it comes to netbooks. 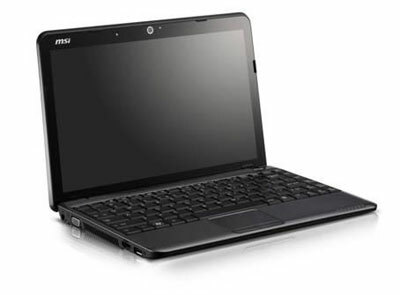 Most netbooks running the Atom N-series processor cannot exceed certain screen resolutions. That is why you see many of the bigger netbooks running the Atom Z processor to get around this rule. The MSI Wind U210 is available at Amazon.com for $430. Click here to check it out. This entry was posted in Netbooks and tagged AMD, MSI, MV-40, Neo, U210, wind on September 7, 2009 by Chief Monkey. 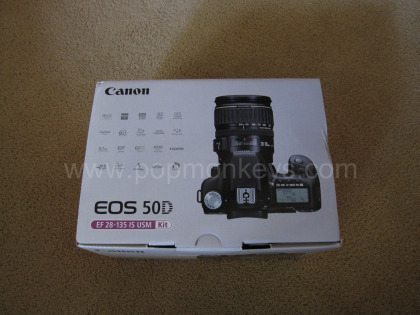 I decided on the Canon EOS 50D because it felt good in my hand. The Canon Rebel T1i and the Nikon D90 felt was too cramp. The 50D also had a good heft to it. I have a lot to learn about using the DSLR to its full potential. Without further hesitation, here are the unboxing pictures. For some reason, Amazon.com is having trouble keeping this camera in stock. The last time I checked, they had 2 left. Not sure what’s going on there. 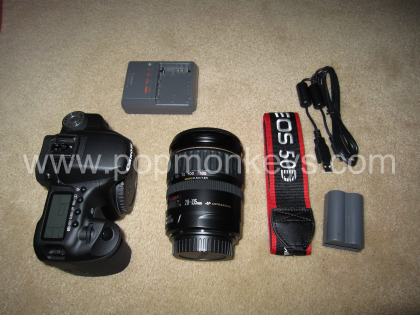 If you’re interesting, here is the product page for the Canon 50D. 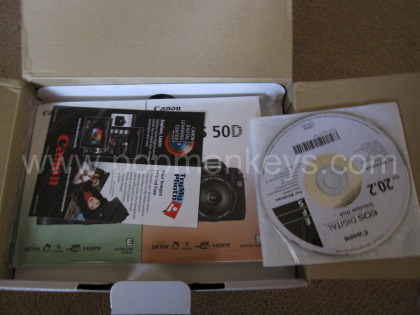 This entry was posted in Digital Camera and tagged 50D, Canon, DSLR, EOS on September 3, 2009 by Chief Monkey. I’ve been bitten by the shutter bug. Recently, I decided to move into the DSLR world. The Canon SD880IS is perfectly fine and still travels with me everyday. However, for the special pictures, I need a camera that can capture stunning pictures and night time shot. 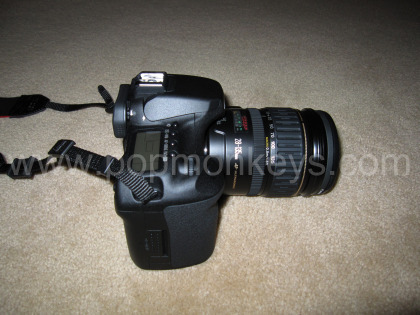 In researching my purchase, I evaluated 3 models: Canon Rebel T1i, Nikon D90, and Canon 50D. All are very good choices for any shutter bug. They offer great image quality, manual controls, a good image sensor, and a nice LCD with Live View. I have to note that the Nikon has 12.3 megapixels vs. both Canons with 15.1 megapixels. 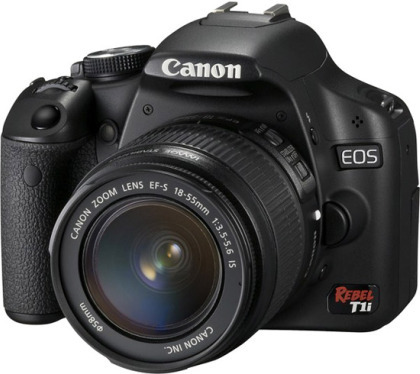 The Canon Rebel T1i and Canon 50D are very similar in specs. They both share the same image sensor and the new Digic 4 processor. However, the T1i lacked the build quality I was looking for. It also felt too small in my hands. If you have a tighter budget, the T1i is a fantastic option. So I narrowed down my choices to the Nikon D90 and the Canon 50D. The Nikon D90 is getting rave reviews for being quick, intuitive, and an all around great camera that performace like you would expect. 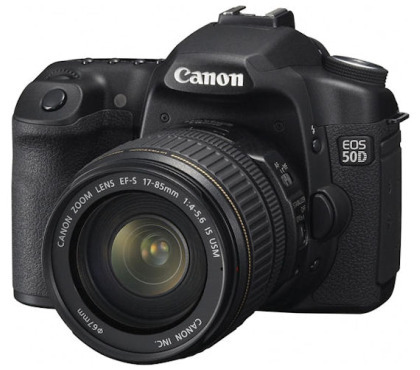 The Canon 50D is the updated version of the highly recommended Canon 40D. The 50D is a very fast camera with continuous shooting at 6.3 frames per second compared to the Nikon D90’s 4.5 frames per second. 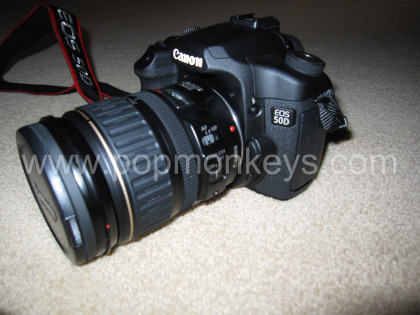 The body of the Canon 50D is constructed from magnesium alloy with improved weather sealing than the Canon 40D. 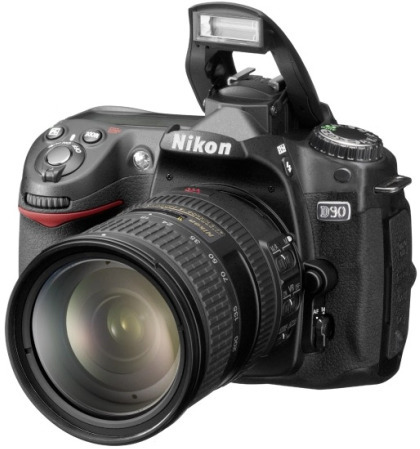 The Nikon D90 has the ability to record HD video. The Canon 50D cannot. 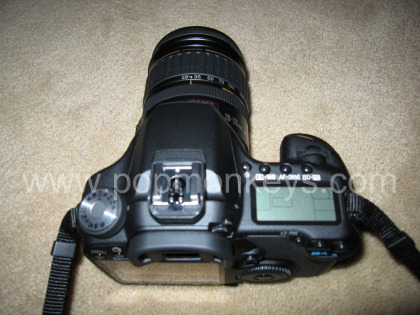 The Nikon offers many features that are not present on the 50D. In my opinion, it’s a matter of preference between Canon or Nikon. However, when you choose a brand, you should stick with it. Most of the time, the accessories you acquire for your current DSLR, such as lenses and filters, can be transferred to a new model of the same brand. Price for all three will vary depending on which retailer you go to. Amazon.com came through for me with this purchase. You’ll find out what I decided on with the unboxing pics. This entry was posted in Digital Camera and tagged 50D, Canon, D90, DSLR, EOS, Nikon, Rebel, T1i on August 30, 2009 by Chief Monkey. This time, Nokia is releasing a netbook. Meet the Nokia Booklet 3G. Details on the new netbook are a little lacking. So far, this netbook is powered by an Intel Atom Z520 or Z530 CPU and has a 10 inch screen. It also sports an HDMI port. Expect the screen resolution to be better than most netbooks. Nokia is claiming that this netbook will get up to 12 hours of battery life. As for real world battery performance, expect 9-10 hours. I think the netbook will show up with Windows 7. More details will be posted as soon as I find out. This entry was posted in Netbooks and tagged Booklet 3G, Nokia on August 24, 2009 by Chief Monkey. It looks like the 12 inch models are being the star of the show. The latest models comes from MSI. They officially announced the Wind12 U200. 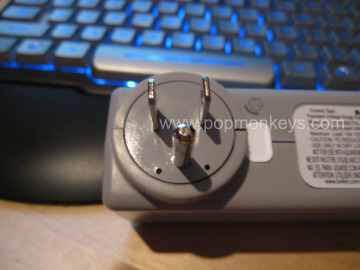 But unlike other 12 inch models, the Asus EEE PC 1101 or the Acer Aspire One 751H, the Wind12 is not powered by Atom. Instead, MSI opted for an Intel CULV Processor. The release date is still unknown at this point. 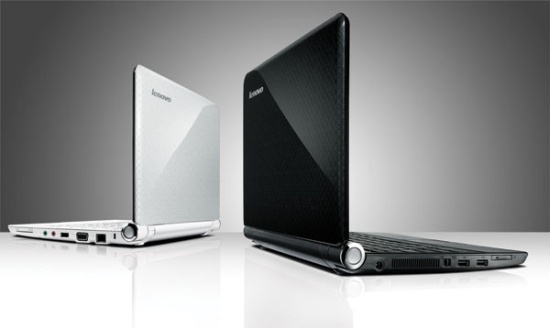 If you can’t wait for it, I would recommend the Asus EEE PC 1101 or the Lenovo S12 with Nvidia ION. Yes, the ION S12 is finally launching soon. However, the price will be an issue. I can’t recommend the Acer Aspire One 751H until they fix that freezing issue. This entry was posted in Netbooks and tagged 12 inch, ideapad, lenovo, MSI, Nvidia ION, S12, U200, Wind12 on August 22, 2009 by Chief Monkey.